In Canada last week there were 4 by-elections held. The governing Conservatives won two seats, the Bloc Quebecois one and the New Democratic Party one. 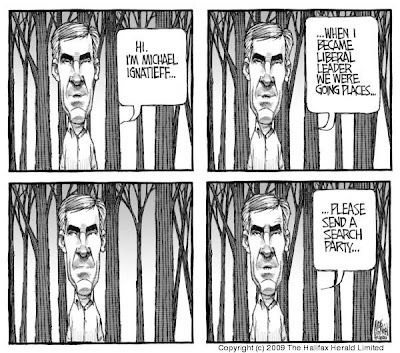 Michael Ignatieff's Liberals, who a month ago were itching to bring down the government and force a general election, came up empty. 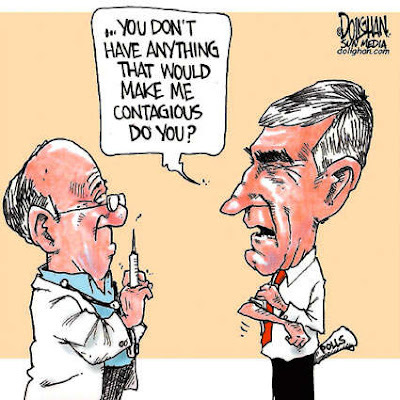 Meanwhile, the debacle of long line ups and short supplies of H1N1 vaccines continued apace both north and south of the border. And finally, there would seem to be a difference of opinion out there respecting the economic recovery in America. Terrible how people need to wait to get the vaccine! Ha! Great funnies. That last one was a good one. 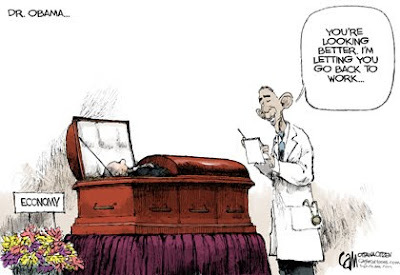 Our economy is looking for a good reanimation. 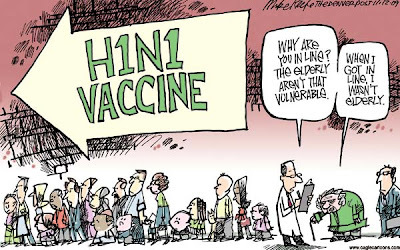 Send a search party... and be sure they've got some H1N1 vaccines with 'em! Cat Lady: That pretty much sums it up! That old lady standing in line isn't far from the truth from what I hear. I once had a boss about like the doc in the last cartoon. He didn't care if you had pneumonia and a 103 degree fever. You'd better be at work or else...he died at 42. Don: Obviously a Type "A" personality. Oh, I love that last one. 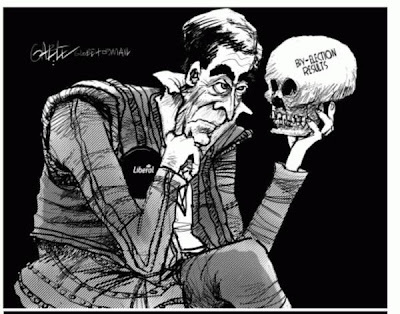 John: That's actually a Canadian cartoonist from the Ottawa Citizen. He's got a great handle on political and wold events and is usually very, very funny.